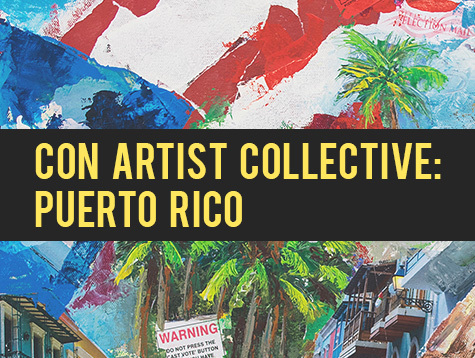 We are currently raising funds and support for an art residency program in Puerto Rico. We plan to bring 6 artists per month to the island from all over the world to hone their skills and to collaborate with local artists and the community. Spearheaded by Bonesy with the support of Con Artist Collective NYC. *PLEASE NOTE* Applications for artists interested in this fully sponsored live/work residency are not yet open. If you are interested in becoming a donor/sponsor of the program follow the link below to make a tax-deductible donation and receive special perks/rewards for your support! Con Artist Collective: PR is a registered 501-3(c) non-profit.